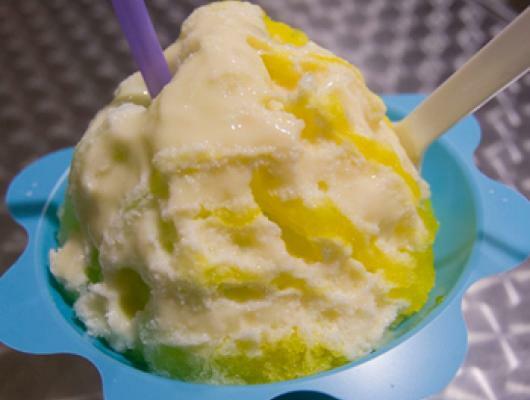 Using an ice shaver or snow cone maker, shave the ice over a bowl, using proper setting for desired consistency. Top with syrup and/or other toppings like fruit, condensed milk, sweetened beans, etc. A refreshing treat on a summer day! 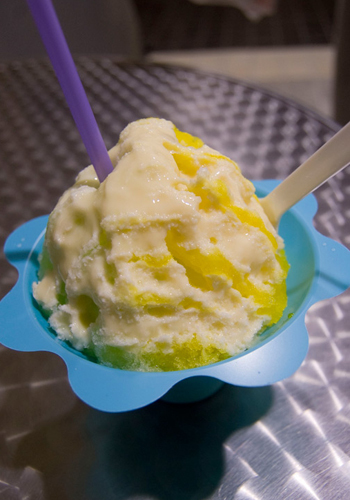 Shave ice is a frozen treat, consisting of finely-shaved ice topped with flavored syrup, fruit, or a variety of other combinations like condensed milk, sweetened beans, or mochi, or filled with ice cream.